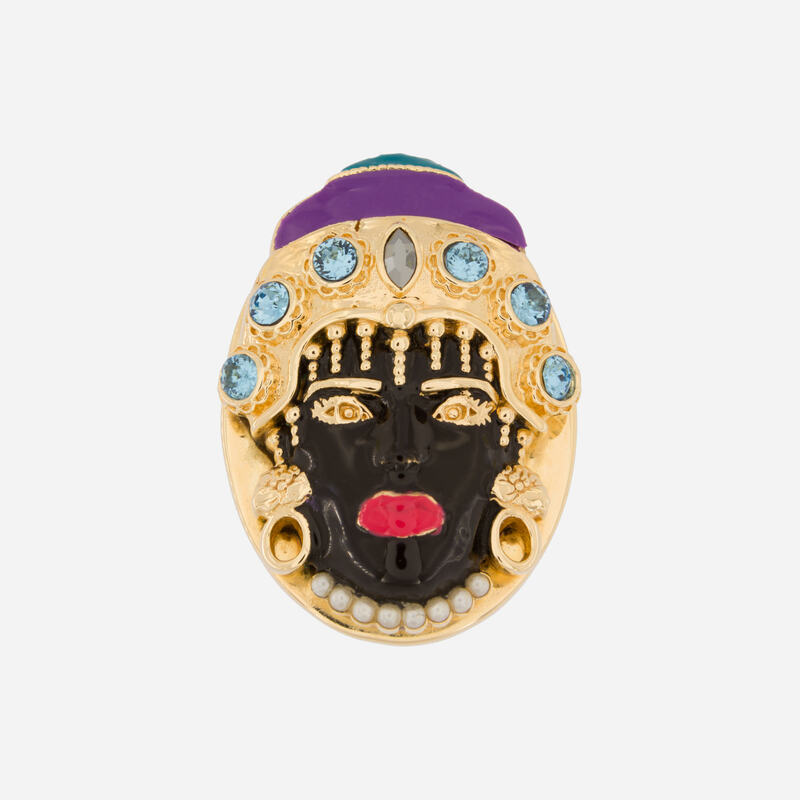 Among the esoteric characters that populate the visionary world of Acchitto, the face of Woman Moors, framed by pearls, is one of the protagonists of the collection. An eclectic mix of influences is reflected in the turquoise stones set on the Tibetan crown, in the stone hedges, in the bergenies in bloom on the earrings and in the string of vintage-inspired pearls on the neck. Red lips are the symbol of femininity and passion. 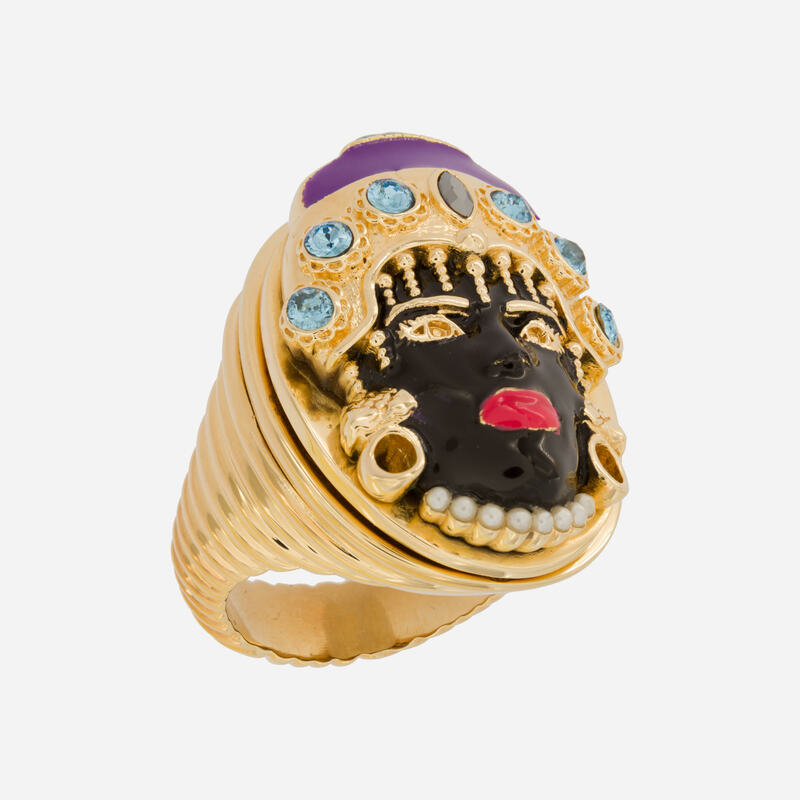 Made of yellow gold-plated bronze, this face is defined by golden beads, crystals and black enamel. 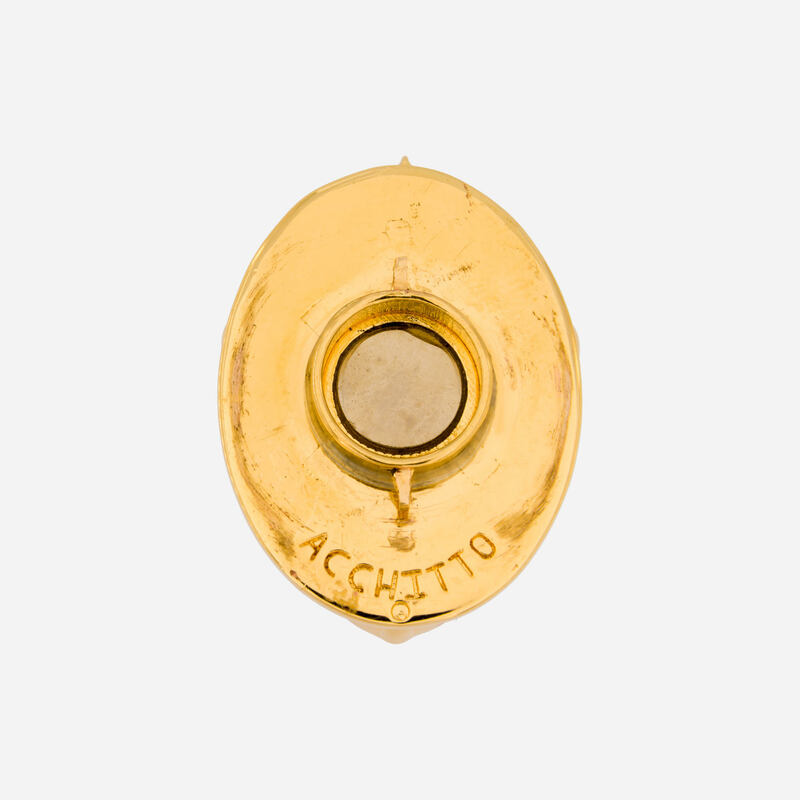 The plaque is equipped with the patented Acchitto mechanism of interchangeability, that allows the personalization of the jewel making it unique, collectible and trendy.